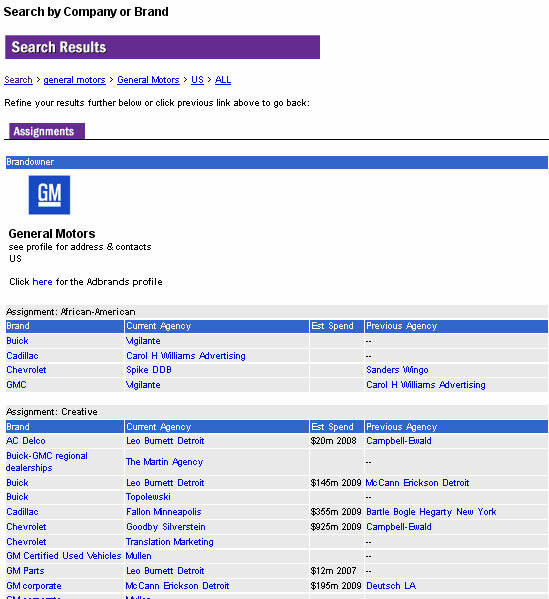 Adbrands Account Assignments is an online database for the advertising and marketing industries. 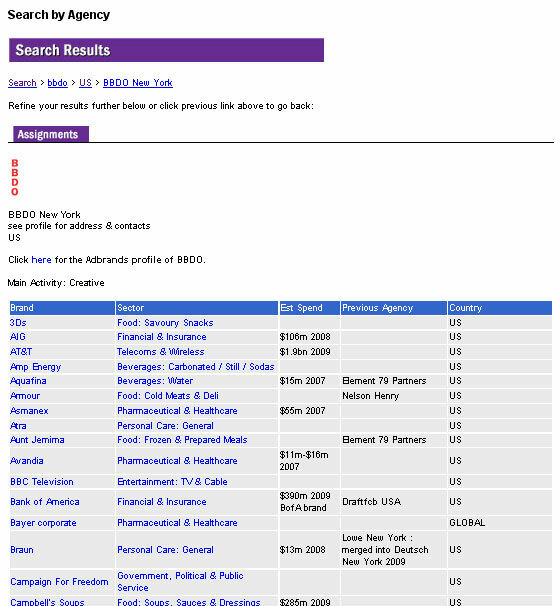 We track account assignments for the world's leading brands and companies. In other words, which advertising agency handles which accounts in which countries. In most cases we provide topline contact information for each company or agency, including address and telephone number. We aim to provide the name of the senior marketer at most larger advertisers (but not the agency account handler). Where available, we also carry quoted recent annual estimated advertising expenditure for particular brands. All information held in the database is sourced from information issued by advertisers and their agencies, and from scouring the weekly and monthly trade press for account moves. The database contains more than 34,000 account assignments for almost 8,500 individual brands. Currently Adbrands receives more than 50,000 visitors per month, and delivers around 150,000 page views. Just over a third of users are based in the United States; just under a third are located in the UK. The remaining third is divided between a wide variety of other countries. Our next biggest markets by users after the US and UK are Canada, India, France, Australia, Germany, the Philippines, Italy, Spain and the Netherlands.